Looking at the Human’s Ability to Change, Artists Jay Wilkinson and Austin Fields take us on an exploration of this Journey we all face. Fort Works Art is thrilled to announce the massive two-person exhibition featuring Texas artists Austin Fields and Jay Wilkinson. Fort Works Art is thrilled to announce the massive two-person exhibition featuring artists Austin Fields and Jay Wilkinson in our Main Gallery. Artist Jay Wilkinson is coming off of an exceptional and beyond transformative last twelve months. Between showcasing his work at Scope Miami Art Basel 2017, to extensive traveling, he has been paying attention to the human psyche and our fundamental desire to grow and change. 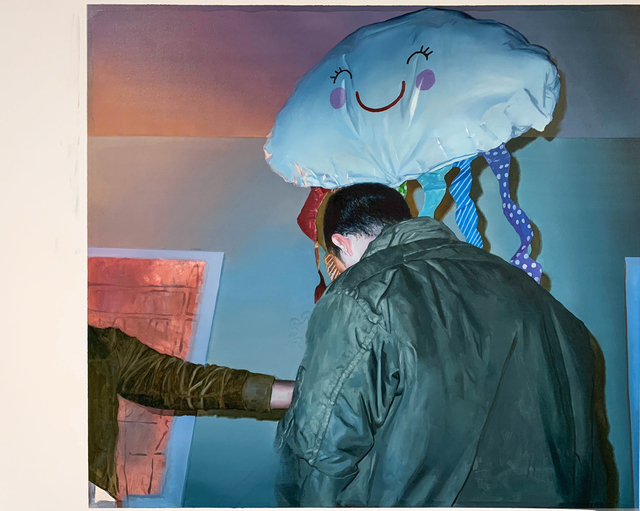 Dealing with what he calls his “party scenes”, Wilkinson brings a softness and quiet to his latest works. With a limited color palette and several sittings with each piece, he is able to examine the link we all have to these scenes. Seeing the desire within his subjects to transform, he takes something as simple as a social scene and brings it into a substantial, relatable and meaningful context. The works become something more. They become something better. This basic desire we all share as human beings is seen in these works and the paintings themselves allow the viewer to feel like they are a part of the work, a chameleon in essence, entering the frame. 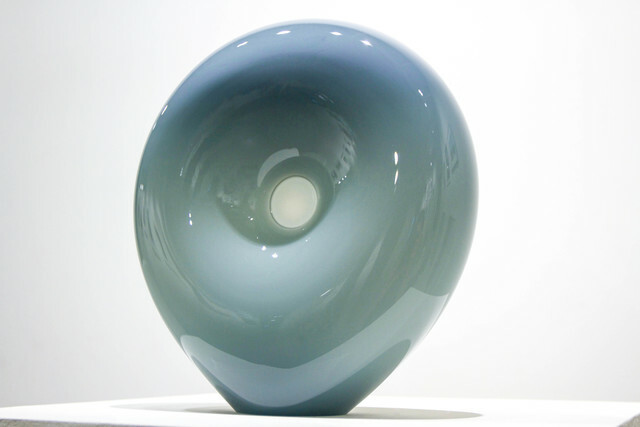 Austin Fields received her BFA at UTA in glassblowing. Working freely and quickly she bends and forms orbs in a very organic and sensual way. Drawing from her love of the figure, she creates works that undulate with the naturally occurring curves of the female form. 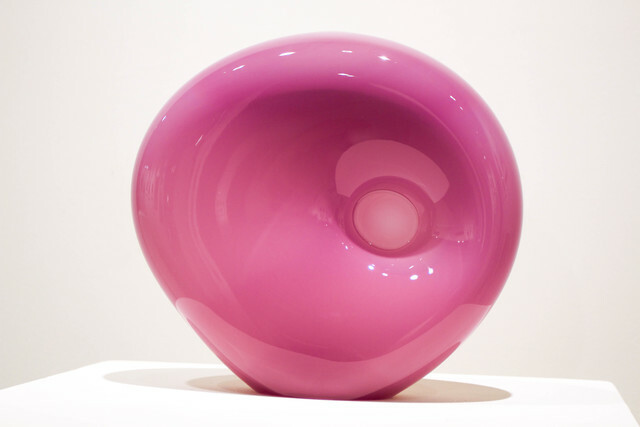 She will be exhibiting her often seen “mirrored orbs”, which are clear blown glass t, which she later mirrorizes. 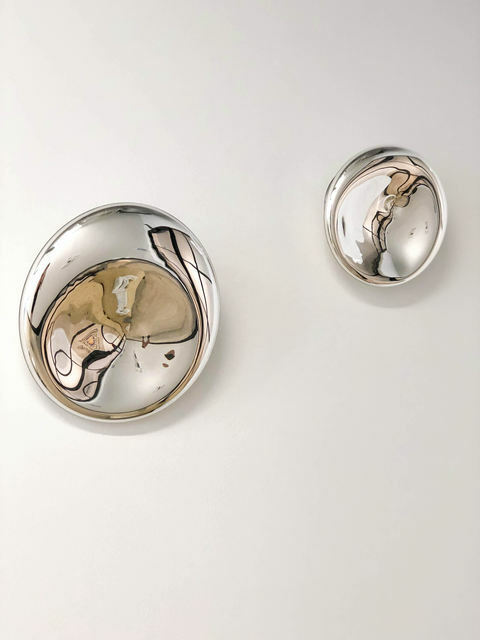 This reflection allows the viewer to see themselves in the work. Their faces and bodies, contorted to the curves of the sculptures, offer a physical invitation to exist within the work. She will pair this with other sculptures of varying forms and colors. The feminitiy of Fields work is undeniable. The works are strong, yet fragile and they finish off to a smooth perfection. The elegance moving throughout the varying forms and colors will couple with the moodiness of the paintings created by Wilkinson. Neon works will also be included within the space of the mirrors, offering a color change to the space, and thus in turn the people. The viewer is the one capable of transforming. With Fields’ works, also including a video installation, the room will become the chameleon.